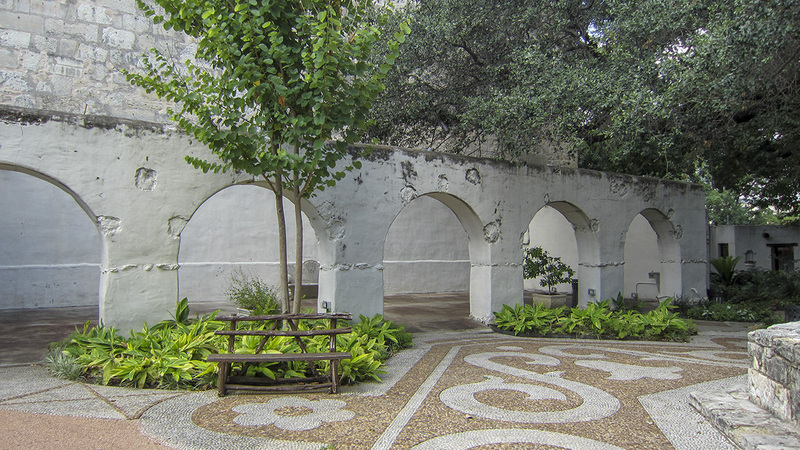 Completed in 1749, this colonial adobe structure, located on the western edge of what is now Military Plaza, originally served as the comandancia (residence) for the commanding officer of the Presidio San Antonio de Bexar, the Spanish military fort built to protect the area’s missions and colonial territory. In 1804 José Ignacio Perez, a Spanish captain who became governor of Texas, acquired the property, which was bequeathed to his heirs in 1823. After decades of commercial use (beginning in the 1860s) and a public advocacy campaign led by Adina Emilia De Zavala, the City of San Antonio acquired the structure in 1928 and restored it under the advisement of architect Harvey Smith and landscape architect Homer Fry. Bounded by the residence, an arcaded structure to the south, and a low wall and gated archway to the west, a one-fifth-acre rectangular courtyard is bisected by a wide central pathway extending from the back of the house. 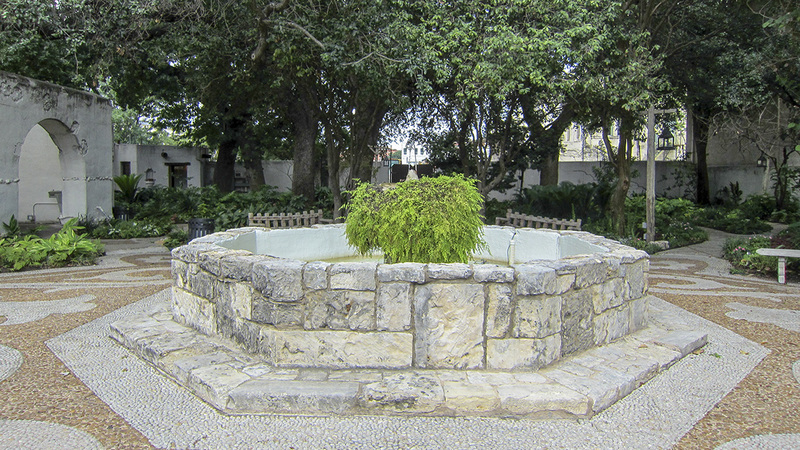 A paved formal patio centered around a large octagonal fountain occupies the eastern portion of the courtyard, which becomes less formal to the west, with footpaths curving through planting beds of lush native greenery shaded by mature trees. 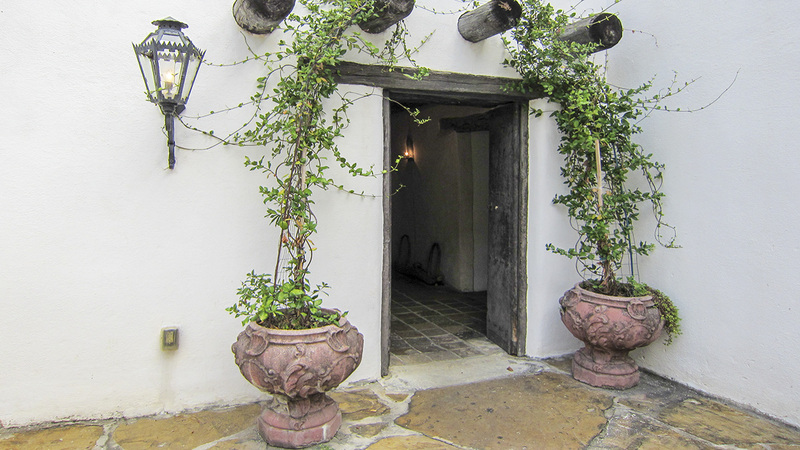 The distinctive paving is made up of red and white pebbles from the San Antonio River, forming mosaic patterns of vines, daisies, and bell-shaped flowers. 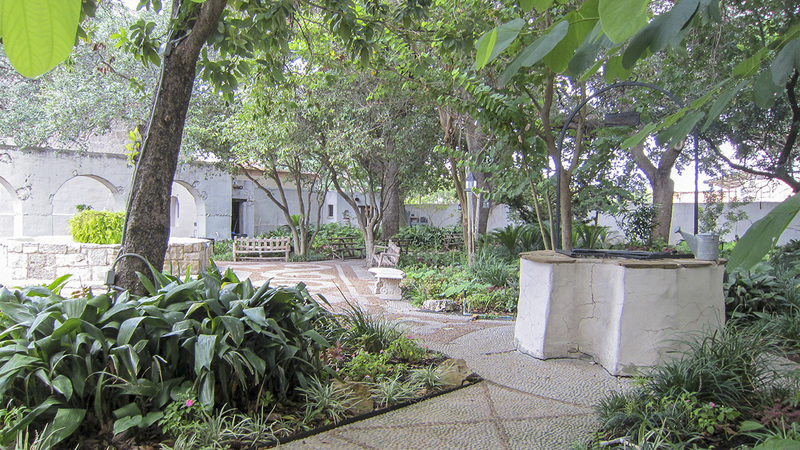 Another smaller rectangular courtyard bounded by an iron and masonry fence and punctuated by benches and shade trees is located on the northeast corner of the plot and accessible through a small doorway at the northeast corner of the patio. The Spanish Governor’s Palace was listed in the National Register of Historic Places and designated a National Historic Landmark in 1970. 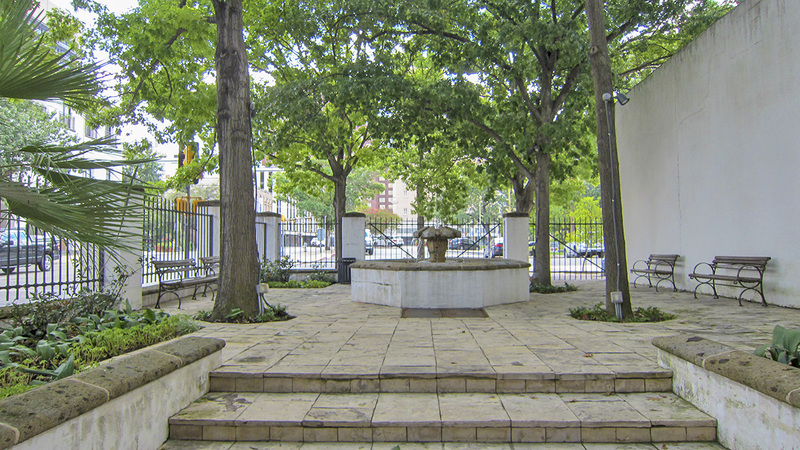 The site is also a contributing feature of the Main and Military Plazas Historic District, which was listed in the National Register of Historic Places in 1979.